1) The first thing you’ll need are hand needles for sewing by hand (duh) and extra machine needles if you use a machine. I buy them at the dollar store most of the time because for a dollar, I can get a big book of needles and for some reason, I lose needles everywhere, so for me, this is practical lol. However, you can also buy little round circle thingies (see photo) at Wal-Mart and Jo-Anne’s Fabrics. They’re sturdier than a paper book of needles from the dollar store, but you don’t get as many needles and also the packaging is the devil. I hate them. But, to each his own! 2) Scissors. I have several pair in several sizes. HOWEVER, if you live near a family dollar store, you can buy a set of three for cheaps and they cut great. The scissors in my photo are missing a pair. I have no clue where they are. 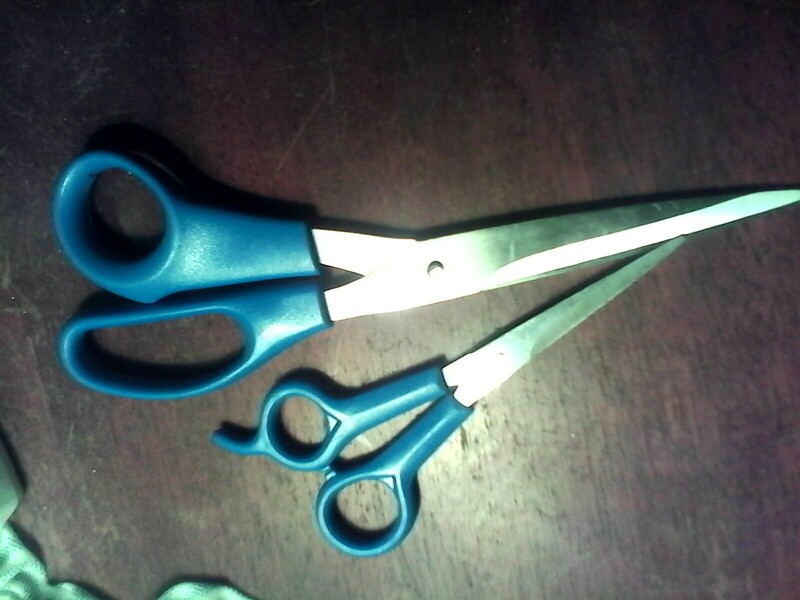 Remember, don’t use fabric scissors to cut things around your house (paper, etc) because it will dull your scissors. 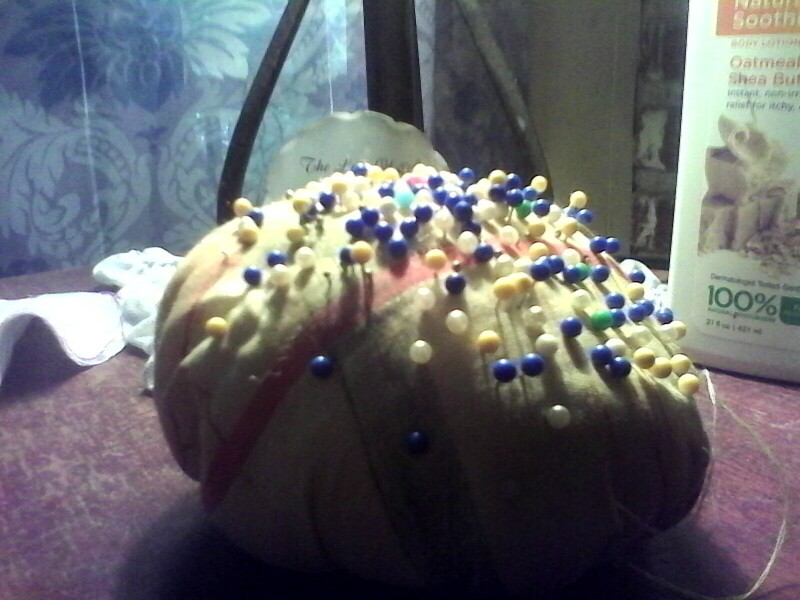 3) Stick pins and a pin cushion. You can always keep them in a little jar, but a cushion makes more sense for me and it helps. Also, my next sewing post will be how to make a pin cushion, so if you don’t have one, don’t fret. I’ll list the materials at the end of this post so you have them for the next post. 4) Thread. Again, the dollar store can be awesome for your materials list. 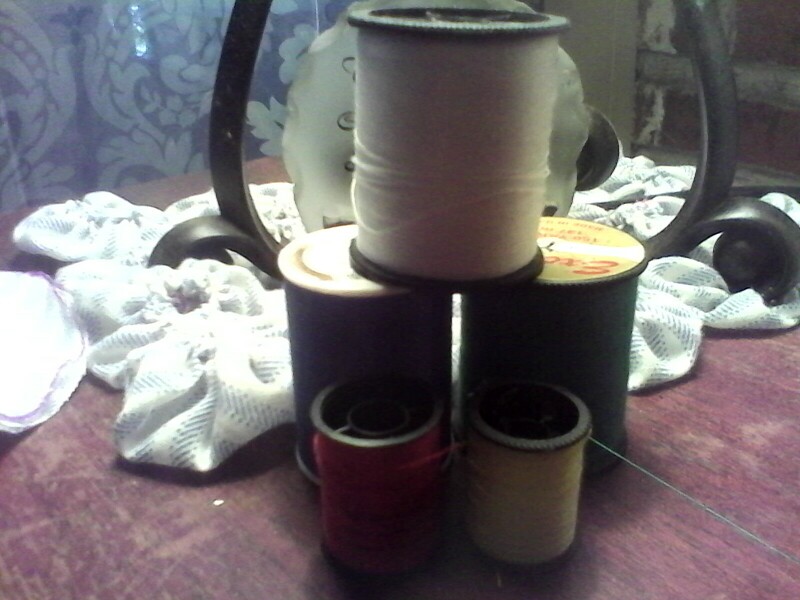 Three spools of thread for a dollar and packs usually come with one white and two black or two black and one tan or any variation of the three. Colored threads are found elsewhere usually, but you can buy multipacks of small spools at the dollar stores on the cheap, too. 5) Measuring materials. 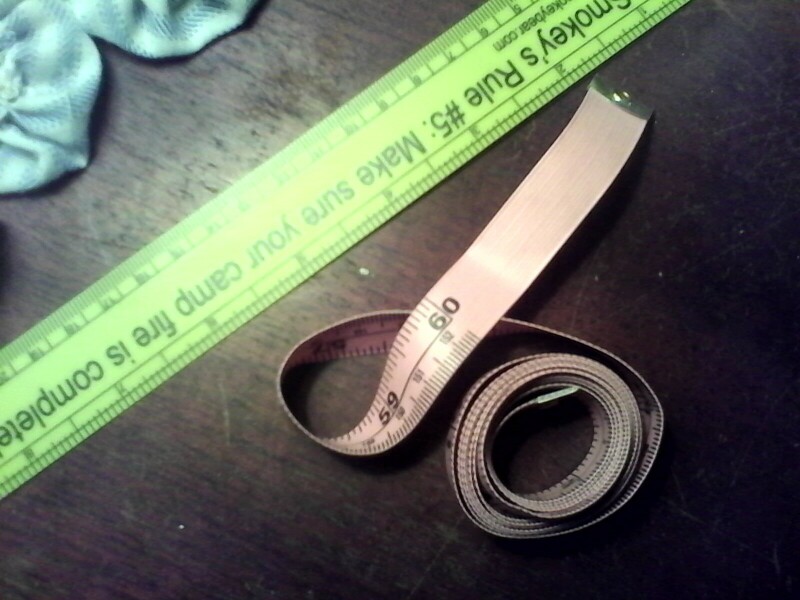 I have a measuring tape and a ruler and these work for beginner projects. Later, I’ll show you some other things, but I swear it’s best to learn with just the basics. These are mine. And FYI, my kids brought that ruler home from school the other day. It’s flimsy, but it would do lol. 7) Seam rippers! These are the best things ever. If you make a mistake, don’t worry. You can just rip it out with a pair of these. 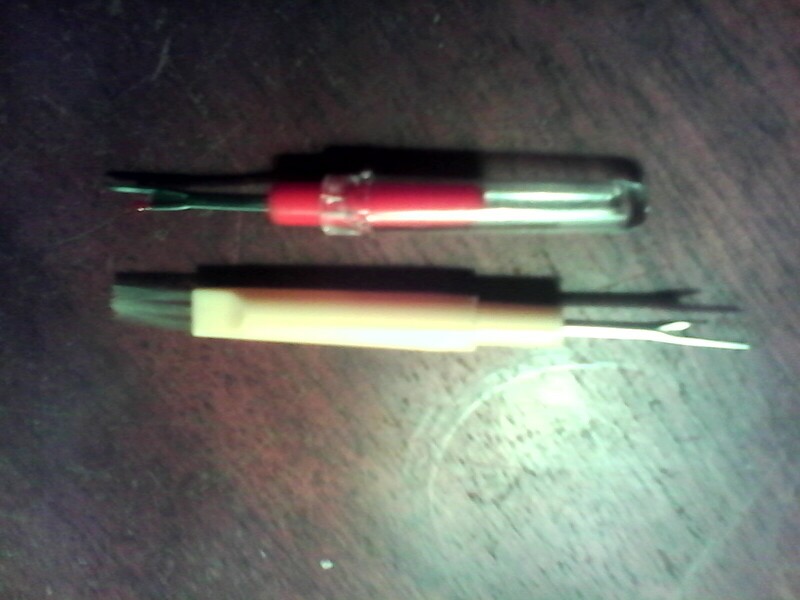 The yellow pair in the photo came with my newest sewing machine (A Singer Simple, which is the model I advise beginners to buy if they’re in the market), but the red pair came in a sewing kit I was given. 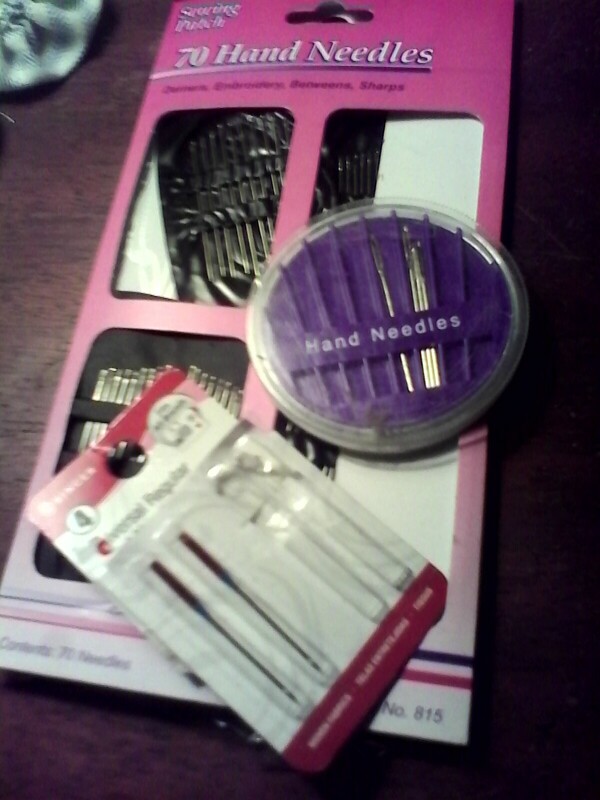 The dollar store usually has seam rippers, but only if you buy a *prepackaged sewing kit. 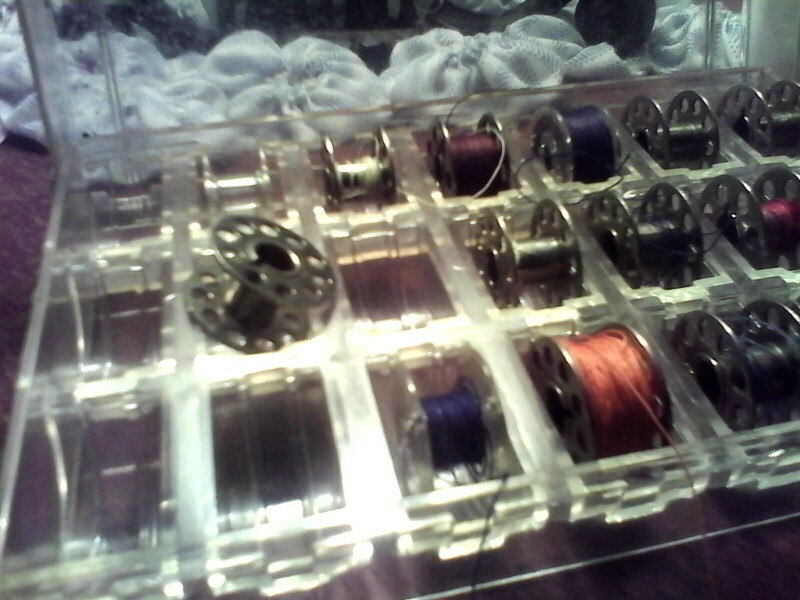 8) Extra bobbins (for machine sewers). The case in the photo came with my Kenmore machine. It’s an older machine, probably older than I am, but it was a gift from my dad and I use it just as much, if not more, than my Singer. 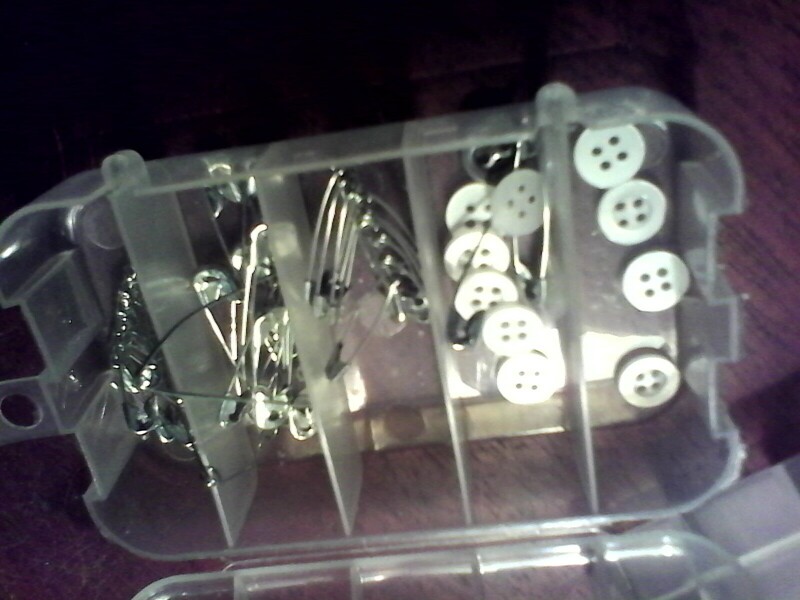 9) A container for extra buttons or safety pins. I have a coffee can full of these types of things, but in the photo you can see any old thing will do. I’ve been known to save tiny sour cream containers, wash them out, and keep them for sewing materials lol. 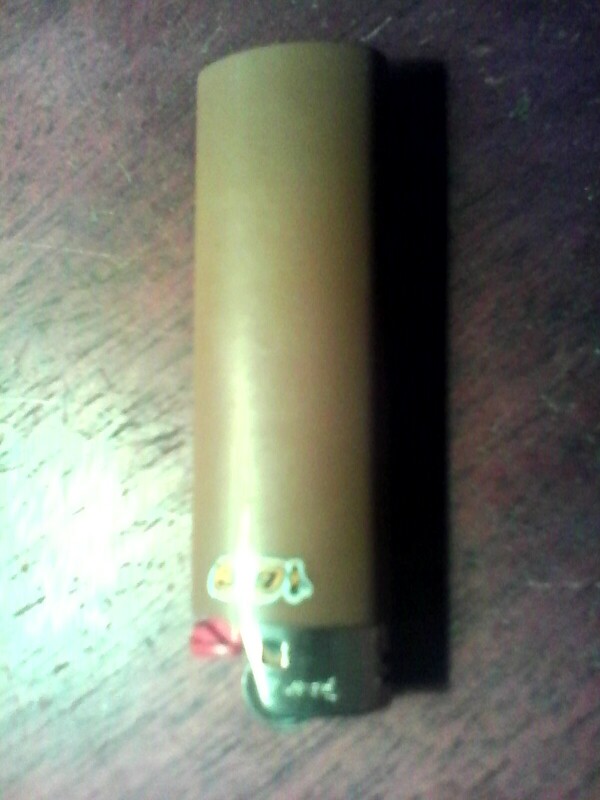 10) NOT a necessity, but a lighter can be used for heat sealing. Certain projects, like hair bows, require a heat seal so ribbon doesn’t fray. You can keep your sewing kit in any container. Shoe boxes work well, plastic caddies from the dollar store also work well and are inexpensive, but you can also buy a sewing box from the fabric store or craft store. I strongly suggest not spending a fortune on them, though. Containers tend to get beat up a lot lol. TIP– Your material can be anything you have on hand. An old pillow case, an old shirt you can tear up, or material bought from the store. Wal-Mart often has fabric on sale cheap, as does Joanne’s Fabrics. Stuffing is pretty cheap, too, and you can buy large amounts at the store, but you could also dart down to the dollar store, buy a cheapo pillow, and tear it up to use the stuffing for other things (I do this often and the case the pillow comes in can be used for scrap fabric also).